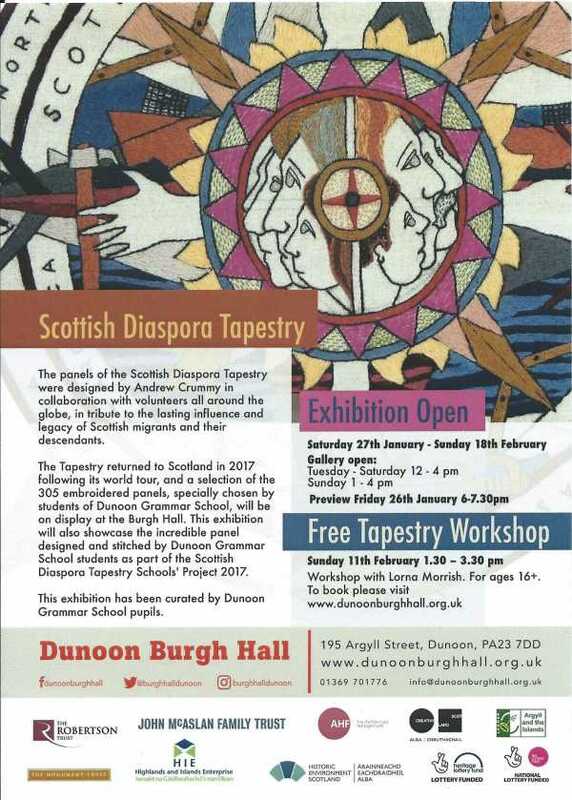 07-Feb-2018 The Spirit of the Scottish Diaspora Tapestry is alive and well this month in the Burgh Hall at Dunoon. 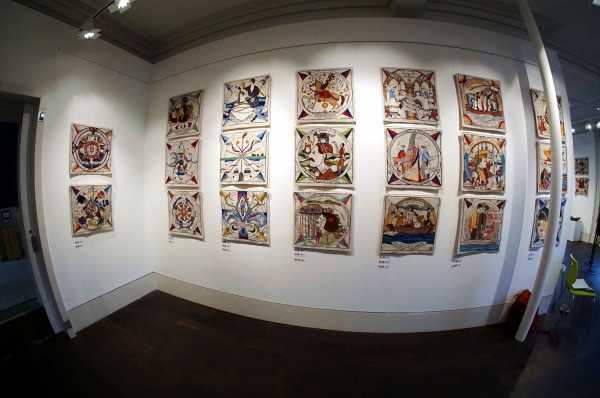 The local students who joined the 2016/ 2017 Programme led by Sharon Beck and created their own excellent panel have now staged the first Schools Tapestry Exhibition. 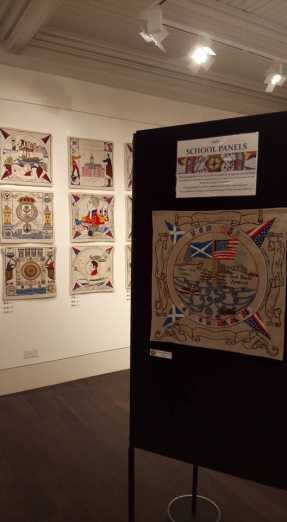 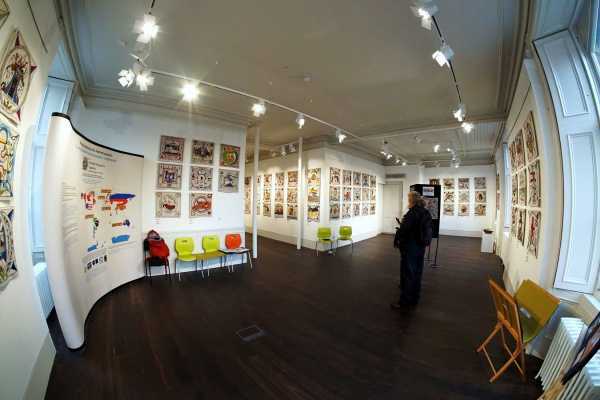 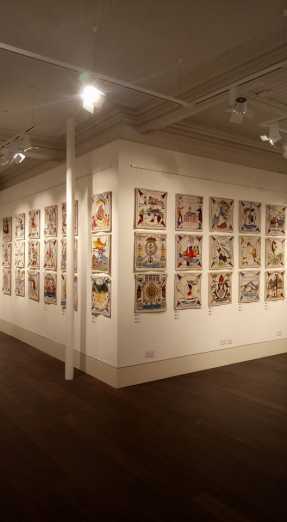 There were doubters who said "too much to ask"; but the received view was that if the school could create the quality of panel it had arranging an exhibition in their home town would be a "walk in the park!" 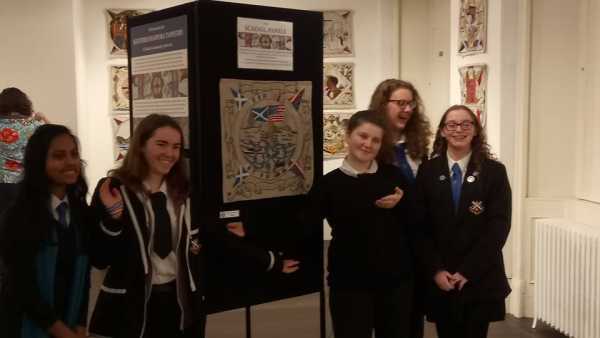 It's not as simple of course as that suggests, but as the picture shows the pride and enthusiasm of the students is unmatched.